Didn’t Anthony Weiner use the “Somebody hacked my Twitter account” defense? We later learned that “Carlos Danger”, Weiner’s twitter handle indeed sent the tweets. Now, according to the Washington Examiner, fake news CNN’s Anderson Cooper uses the same defense. CNN backed up Cooper’s claim that his account was hacked. They said Cooper didn’t send the tweet, and that the company was trying to figure out what happened. This doesn’t seem like something Cooper would say publicly. But this does beg the question: What else has been hacked at CNN? The news source has been under fire for some time, and is clearly the Clinton News Network. Moreover, CNN is anti-Trump, and proudly so. Will they get to the bottom of this? I don’t think so. Frankly, I don’t think the care to. 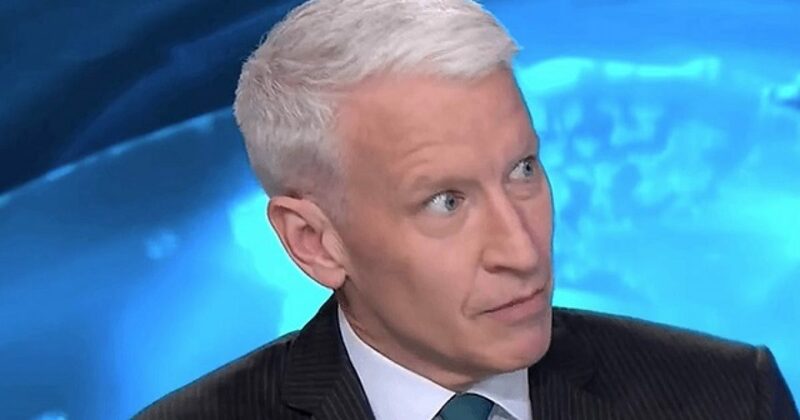 As for Anderson Cooper, he doesn’t like Trump. The employees of CNN feel that Trump targets them. That’s natural Leftist reaction to start a fight, then tattle when the other person kicks the crap out of them. Don’t be surprised to learn that Special Prosecutor Robert Mueller expands his investigation to look in on the matter. Allow me to come to the conclusion on his behalf: Trump hacked Anderson Cooper’s Twitter account.